Well, that’s a wrap on our 5 week adventure in Florida! After three regattas, it feels like ages since we spent the first three weeks of January in Fort Lauderdale. 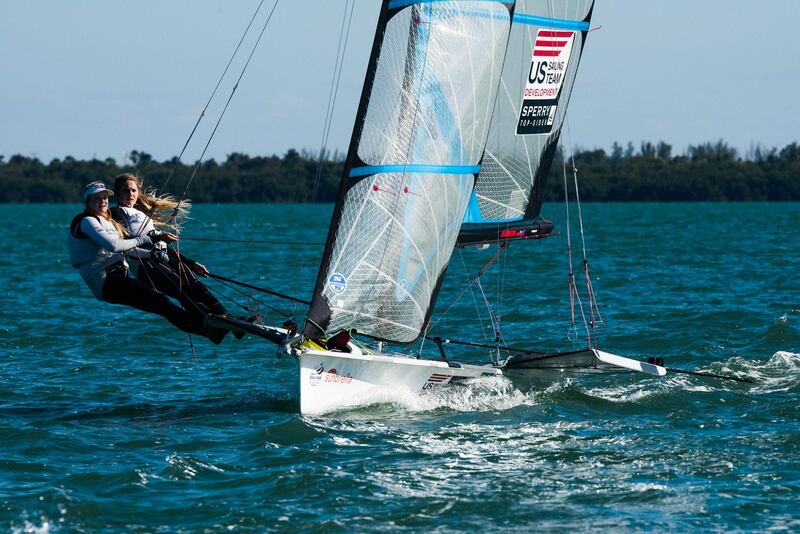 We owe a huge thank you to the Toppa family for hosting us so graciously while we trained in Miami for Midwinters and Sailing World Cup Miami. We enjoyed lots of healthy food (homemade fish tacos, turmeric shots, and gluten-free chocolate cake, anyone?) and Libby was so kind to help Helena treat her carpal tunnel syndrome. During this period, we met with our sports psychologist, strength and conditioning coach, and tactics coach. It was exciting to start the year off by building our relationships with these experts! 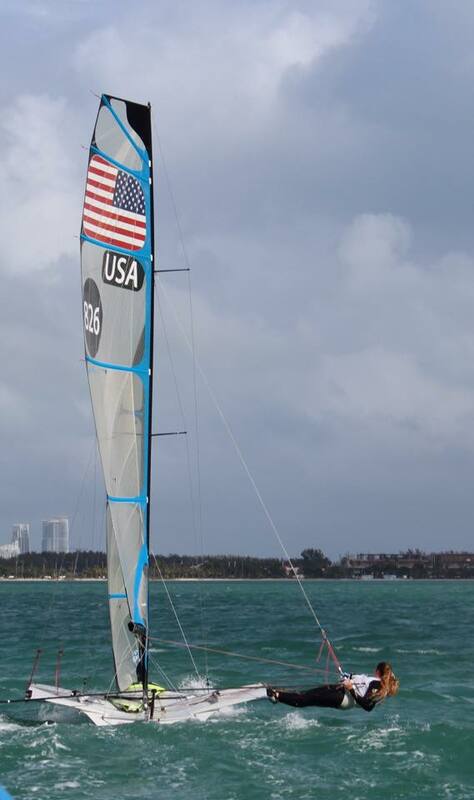 The first event, Midwinters, boasted 32 of the 40 teams that would be at Sailing World Cup Miami a week later, so we treated it as practice for the big fleet competition. The three-day event kept everyone on their toes as it gave us relatively light, but shifty winds. Starts and tactical maneuvers stood to be the biggest challenge for us and we will continue to work on shifting our tactical mindset for different conditions. With a fleet of 32 boats, we finished 16th and top USA team. 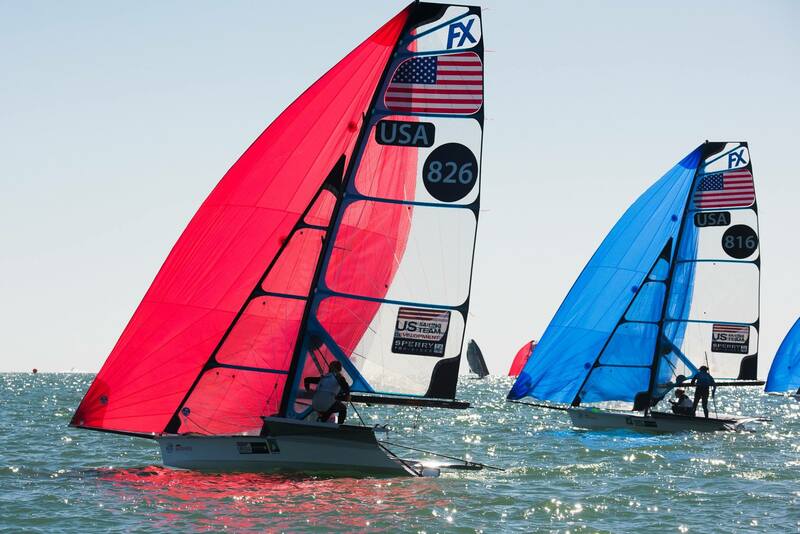 During the week after Midwinters we refocused and got set up for Sailing World Cup Miami where the top American would qualify for the Pan American Games in July. The last month in Florida helped us figure out the areas of improvement and we are more than excited to continue to make strides in those areas. 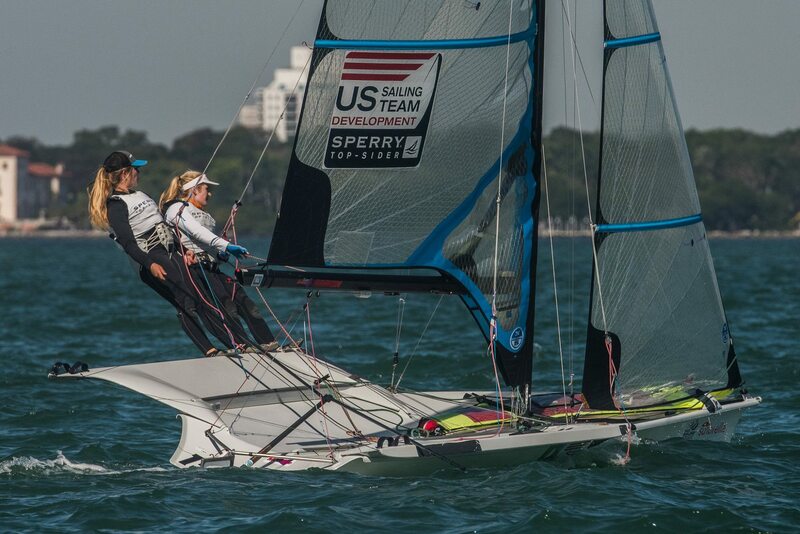 We are glad to be top USA team at all three events and to have received an invitation to Sailing World Cup Hyeres, but we are so far from satisfied and are hungry for more! Qualified for the Rio Test Event after a solid result in Palma! That’s a lot going on in 2015 already! Great recap, Paris. Carry on the progress in Europe! Great to read about the progress. Disappointment, shouldn’t be, consider it a learning experience.